1 Bedroom Flat For Sale in Whetstone, London for Offers in the region of £399,995. 1 & 2-Bedroom Apartments And 2 & 3 Bedroom Homes Available. SPEAK TO AN ADVISOR ABOUT PART EXCHANGE (subject to T&Cs). 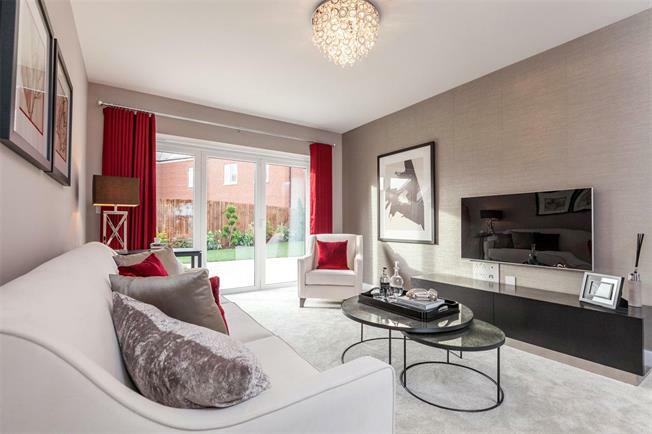 Oakleigh Grove, Taylor Wimpey's flagship development in Whetstone, is an exciting collection of family homes that will appeal to First Time Byers, professionals and families alike. The location is ideal for commuters with the overground and underground links to the capital. Being only just a short walk away from the High Road with its café culture, shops, and supermarkets makes this a superbly positioned to enjoy the benefits of the local area. - Contemporary Kitchens by Symphony with soft close doors and draws, Laminate work top with matching upstands, Stainless steel 1 ½ bowl with drainer and chrome mixer taps, AEG stainless steel appliances to include single oven, 4 burner stainless steel gas hob, stainless steel splash back to hob, stainless steel chimney hood, Integrated dishwasher, fridge freezer and washer /dryer. Chrome low energy down lighters. Under cabinet lighting. - Bathrooms and Ensuites with white sanitaryware and Walnut coloured vanity top. Chrome towel rail. Chrome low energy down lighters. Half-height tiling to all walls, Full-height tiling to shower enclosure in Ensuite that have either Thermostatic or Electric shower. and wet areas. Low-energy pendant light fittings to all other rooms. - Wiring for satellite to Living room, Bedrooms 1 and 2. - BT points to Living room, Home Office, Bedrooms 1 and 2. - Mains operated smoke detectors with battery back up. - Turf to rear gardens to select plots only. - External tap. Power and lighting to all on plot garages. - Select plots have a Study, Dressing Room. - Parking to all homes. Select plots include a Garage.